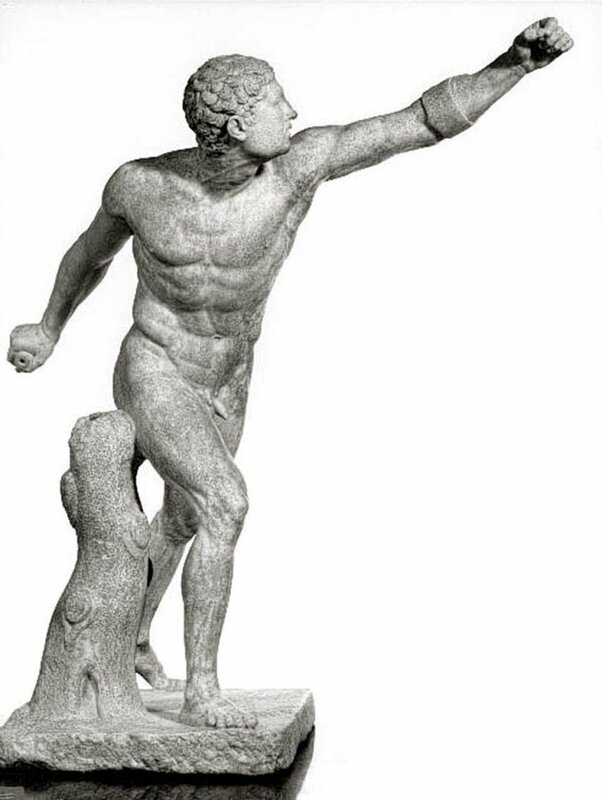 in ludi (schools), directed by a lanista – a word of Etruscan origin – who had the power of life and death over his men. The ludi - something halfway between barrack and prison - had the same basic layout all over the empire: gladiators were lodged in small cells around the yard where they trained. At the beginning the schools were only private and were managed by rich citizens. The schools were common, too, in all the provinces of the Empire, and all were submitted to the authority of a procurator, an imperial official who controlled an entire area like Gallia (modern France) or Asia (Turkey). In imperial times, starting with Julius Caesar, the emperors organized their own schools. 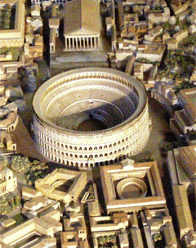 In Rome there were important gladiatorial schools: the first one was the Ludus Aemilius, founded by the triumvir Aemilius Lepidus, and it is also mentioned by Horace in his Ars Poetica. Its location is uncertain, though we know that one side of it bordered with bronze workshops. In the fourth century it was transformed into public baths, called Balneum Polycleti. We also know of another school near the Theatre of Pompey. In imperial times a Ludus Bestiarius is mentioned by Seneca. 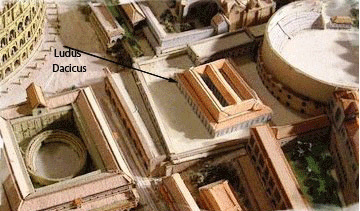 It was perhaps in the same location of the future Ludus Matutinus, near the Colosseum, together with the other three ludi built in Domitian times: Magnus, Gallicus e Dacicus. The Ludus Matutinus was the training school of the bestiarii and of the animals that enacted the venationes, the hunting shows that traditionally took place in the morning (matutinus tempus). It was probably placed between the Temple of Divus Claudius on the Celian hill and the ancient street vicus Capitis Africae, where in 1938 excavations showed its elliptical foundations. 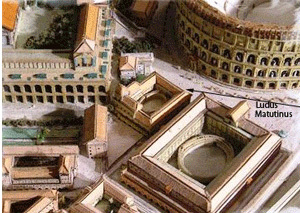 The picture on the left is a detail of the model of the city of Rome in Constantine times, located in the Museum of Roman Civilization. 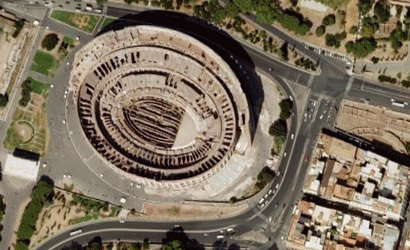 The Ludus Magnus is in front of the Colosseum, slightly on the right, while on the left there is the Ludus Matutinus.The ruins of the Ludus Magnus, with a part of the lodgings and the arena, can be seen in the satellite photo on the right. 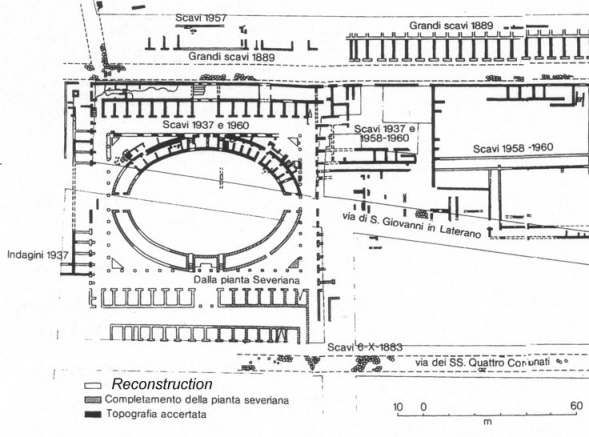 The Ludus Magnus was discovered only in 1937, under Via di San Giovanni in Laterano. One half of the building has been excavated and is perfectly visible from the street, together with the spaces destined to services and lodgings (actually cells). 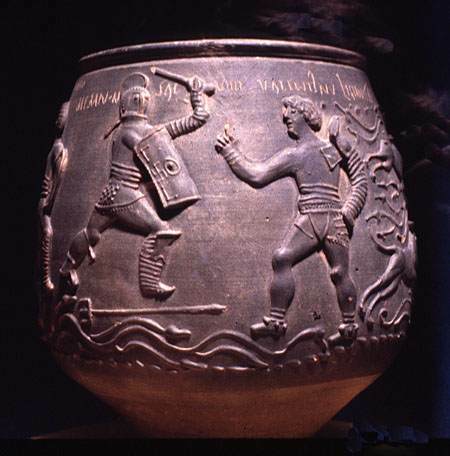 The Ludus Gallicus (probably placed near the Matutinus) and the Ludus Dacicus perhaps indicated the nationality of the gladiators who lived there, but this is uncertain, as those names also indicated a typology of fighters. In the year 73 BC, about 70 gladiators of the Capua school, led by Spartacus, escaped, set up a revolt of slaves and created an army of 90.000. They kept in check the Roman state for three years before the revolt was suffocated. The organization of the schools was thereupon set to avoid such accidents. Beside every ludus there was a garrison of soldiers who delivered the real weapons to the gladiators in the morning and took them away at night. Soldiers would intervene in any case of disorder. The schools were considered so safe that they could be located inside the cities. Inmates could not escape, and could only hope to save their lives by fighting so brilliantly in the arena as to attract the attention of some powerful person who could reverse their fortune by freeing them. This remote chance of being liberated was the myth that allowed gladiators to put up with their destiny. The so called "gladiator" from the Borghese collection, now at the Louvre. 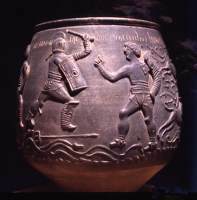 It is in fact a representation of Achilles fighting against the Amazon queen Penthesilea, on horse.